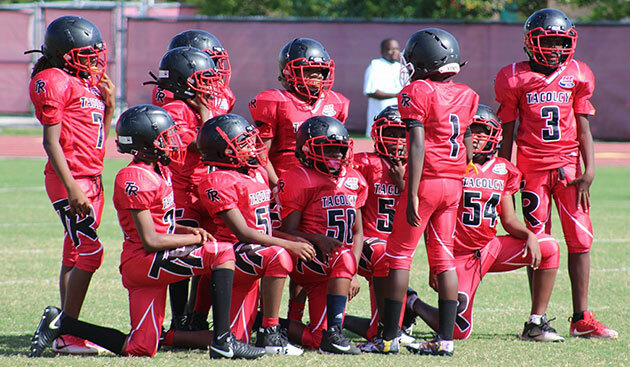 Our Football/Cheerleading program is our oldest sports program to date, as well as our most popular sport, serving about 215 boys and girls annually with 50 to 60 Volunteers, coaches and parents. 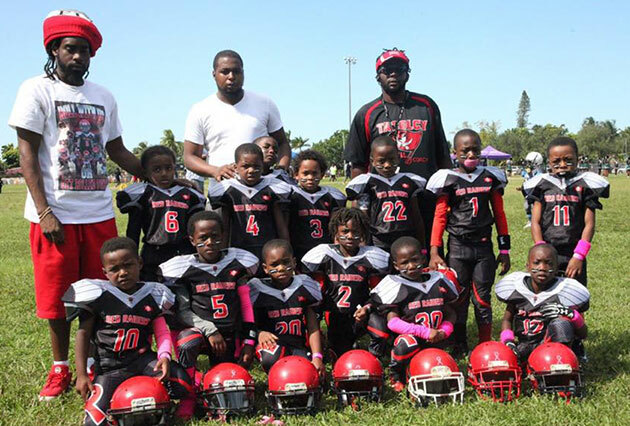 The coaches teach organized & safety fundamentals of tackle football and cheerleading from summer to fall which is followed by Cheer competition and Playoff/championship football. 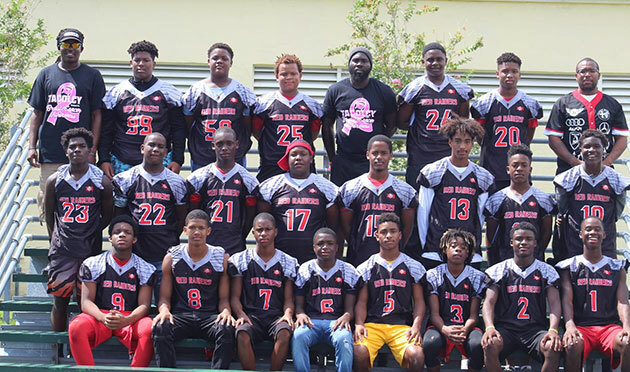 Currently we are apart of the Greater Miami Pop Warner youth football league. Our Football program boasts 6 city championships and 1 national championship over a 4 year span. 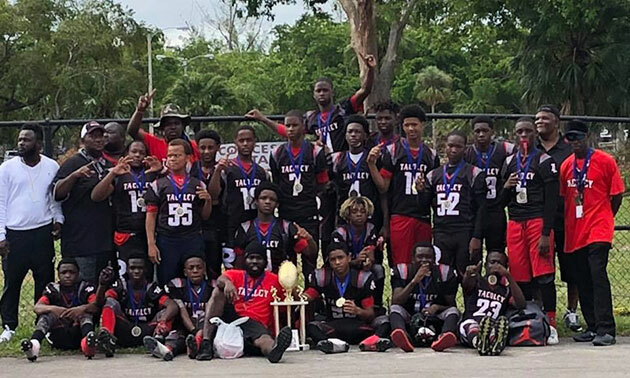 As a up and coming sports program in the city of Miami, we are excited about some of the new things happening and to come here at TACOLCY. Our Football/cheer program opens registration in May of each year and offers participation to ages 5 to 15, (grades K-10) . Enrollment requirements are: Registration Forms, Physical, Birth Certificate, Registration Fee and Report cards for boys and girls ages 9 to 15.